The following information is provided by the Center for REALTOR® Development and has been adapted with permission from its original publication on REALTOR® Magazine’s “Speaking of Real Estate” blog, April 18, 2018. What authority does the European Union have over your real estate business? That’s a tricky question, but an EU rule that takes effect tomorrow could end up affecting your business in some manner. That’s because any European that comes to your website to browse listings will be covered by what’s called the GDPR. As you can imagine, how the EU would enforce this is a big, unanswered question. There will probably be litigation, too, so it’s possible it will be a while before anything actually happens that affects U.S. businesses. First, the United States might align its rules with the EU. 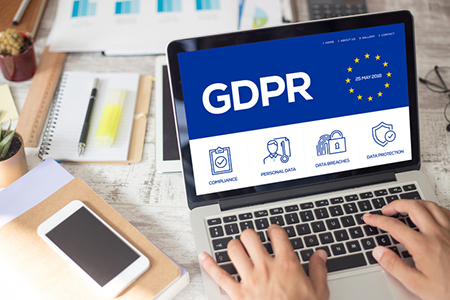 Second, regardless of that, many U.S. businesses might align their online privacy and security practices with the EU model, regardless of enforcement. That means you’ll probably see more U.S. companies asking for affirmative consent when anyone comes to their websites. Third, there could be alignment with European rules on data processing, too. This is all speculation. The rule is real, but its actual impact here can’t be fully known yet. You can see where things are heading, and it’s not a bad idea to take steps to be prepared for however things shake out. Here is a recording of a Facebook Live webcast that was held on April 24 of this year. The National Association of REALTORS® (NAR) put together this panel of speakers to provide information and guidance about GDPR compliance for its membership. The presenters included Finley Maxson, NAR senior counsel, and Liz Sturrock, NAR vice president of Information Technology. The discussion was moderated by Meg White, managing editor of REALTOR® Magazine. Robert Freedman is director of Multimedia Communications for the National Association of REALTORS® (NAR). He can be reached at rfreedman@realtors.org. For much more about digital real estate marketing, including compliance issues both general and specific to the real estate industry, check out our featured product this month at the Center for REALTOR® Development, the e-PRO® Day 1 and 2 bundle, which is the educational requirement for NAR’s e-PRO® certification and is on sale this entire month of May at 25% off. This certification aims to help real estate professionals broaden their technology skills to connect effectively with today’s digitally-savvy consumer.